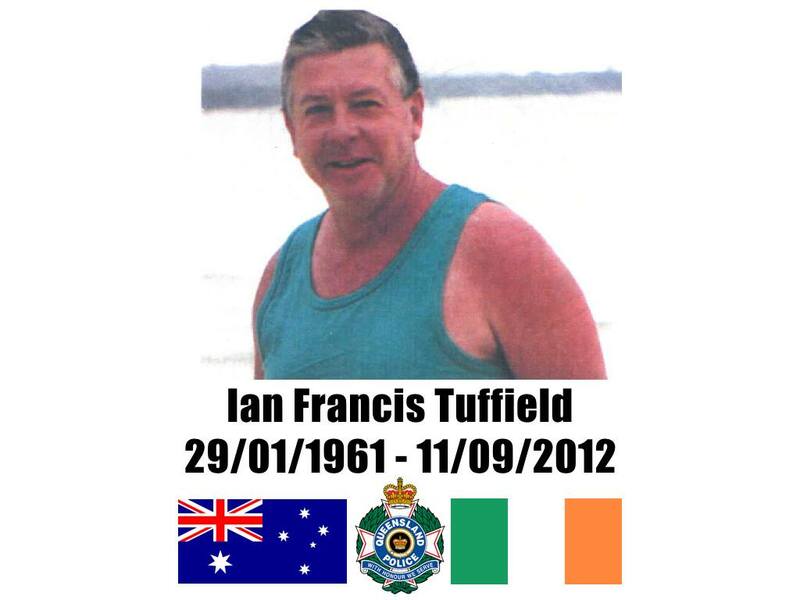 QUEENSLAND police officers are mourning the death of former Detective Senior-Sergeant Ian Tuffield whose body was discovered by an ex-colleague yesterday afternoon…Mr Tuffield’s body was discovered at his home in Brisbane on Tuesday by one of his best mates – another former police officer – after he’d been uncontactable for several days. Your boys Paddy and Sean. On 22 April 2016, Gavin Cooper and The Brisbane Watchhouse Social Club will be holding the inaugural ‘Blue HOPE Charity Golf Day’ at Wynumm Golf Club in Brisbane. We are humbled by this incredibly kind gesture and our profuse thanks go to Gavin and his team for their hard work and fund raising efforts thus far. 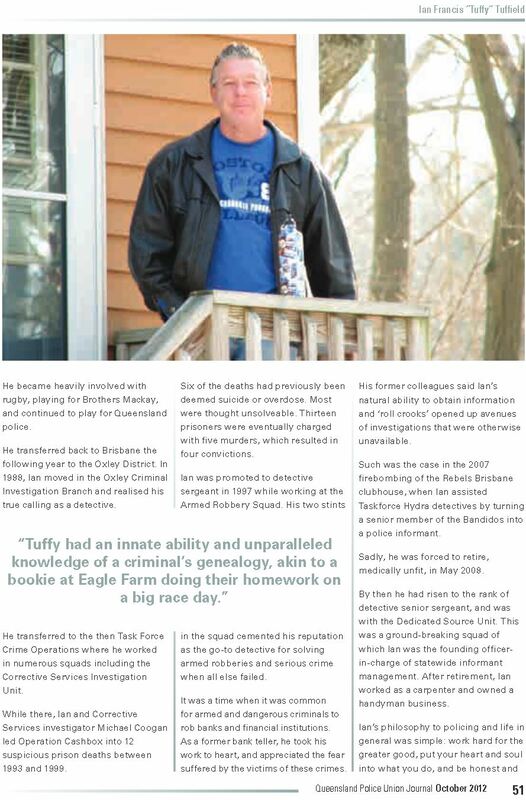 Today though, we are extremely proud to announce that teams competing on this day, will do so for the ‘Tuffy Cup’, a perpetual trophy bearing the name of one of Queenslands finest ever Detectives – Ian Tuffield, who tragically took his own life on 11 September 2012. 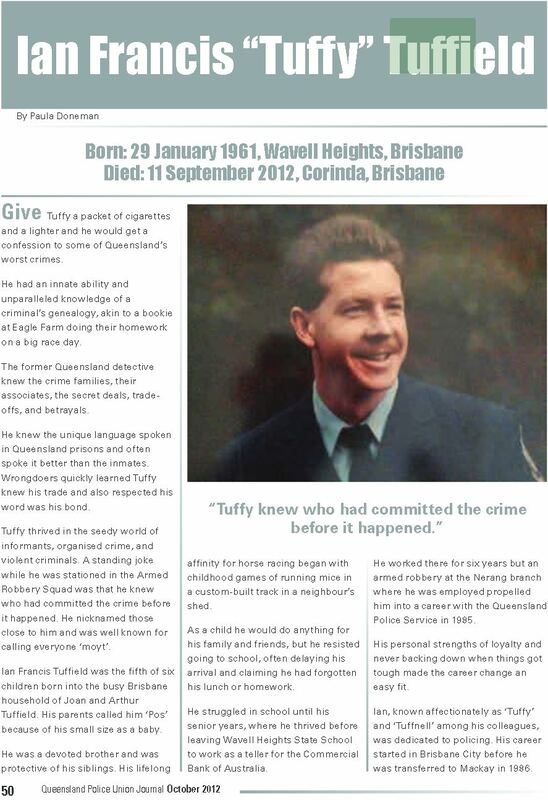 In many ways Tuffy truly epitomised not only what it is to be a Queensland Detective, but more importantly, what it is to be a Police Officer full stop. We feel truly privileged to be able to honour him if only in this small way. For those interested, there are still playing spots available but they are selling out fast! Any queries can be made to Gavin on 0421 735755 or alternatively, via message to us here at Blue HOPE.